Mary Sours Burns, 89, of Fishersville, passed away Tuesday, May 26, 2015 at Avante’ at Waynesboro. She was born October 18, 1925 in Chatham, Pittsylvania County, daughter of the late Judson Sours and Iva Hyler Sours. She was a Teacher’s Aide at Wilson Elementary School where she taught in the Title1/Chapter 1 Program; in 1988 she retired from the Augusta County School System with 21 years of service. 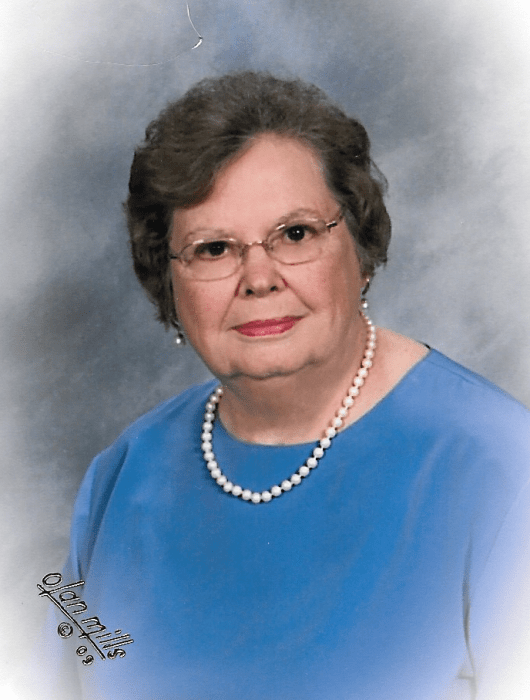 A lifetime member of First Baptist Church, Waynesboro, she was a member of the Missionary Circle. Mary enjoyed the arts of watercolor painting and quilting. In addition to parents she was preceded in death by her husband, Paul Moreland Burns; her brother, Henry Sours of Richmond and her sister, Faye Armstrong of Roanoke. She is survived by two sons, Paul M. Burns Jr., of Fishersville and Thomas K. Burns and wife, Cheryl of Waynesboro and their children, Lucas Burns and Katie Burns; one daughter, Bonnie B. Hall and husband, Stewart of Waynesboro; her sisters, Iva Jean Andrews and husband, Ed of Flower Mound, Texas, Betty Sue Taylor and husband, Alex of Carey, North Carolina and Phyllis S. Doggett of Durham, North Carolina; her nieces, Brenda Cash, Laura Andrews and Kathy Tutt, nephew, Conway Burns and lifetime friend, Janet Swisher. The family would like to express special thanks to her lifetime friend, Janet Swisher, the Staff at Avante’ at Waynesboro, Legacy Hospice and Dr. David Chernoff. The family will receive friends from 6:30 – 8:00pm, Thursday, May 28, 2015, at Charlton and Groome Funeral Home, 619 Lifecore Drive, Fishersville. Graveside services will be held in Augusta Memorial Park, Waynesboro, at 11:00am, Friday, May 29, 2015, conducted by The Rev. Larry Jones. Family and friends will assemble at the cemetery for the service. In lieu of flowers the family suggests contributions to a charity of you choice. Family and friends may share memories and condolences at www.charltonandgroomefuneralhome.com.